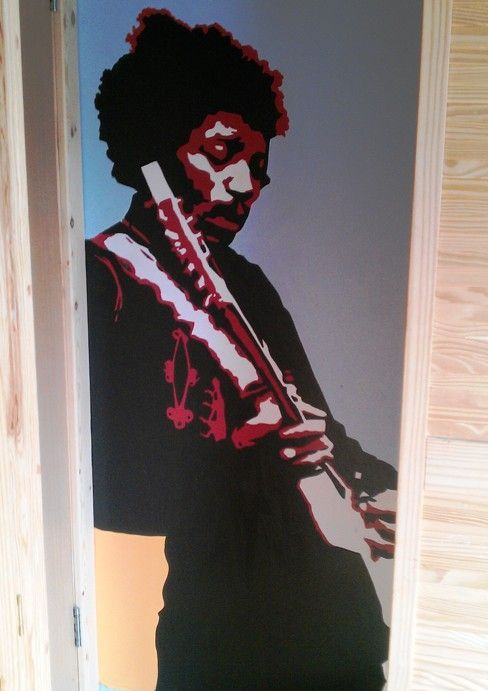 This design was created in the bedroom of a teenage girl who was mad about music. 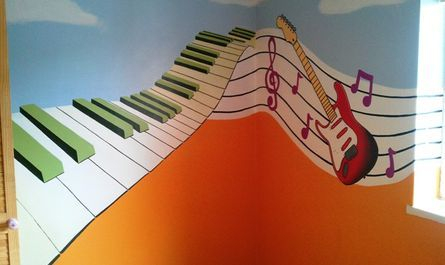 She played piano and guitar so we featured those instruments in the musical score that went right around her room. 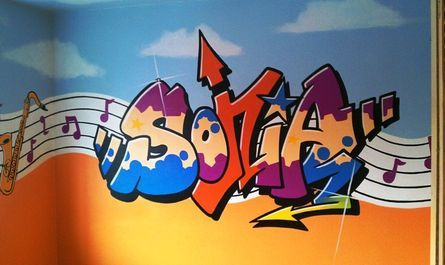 It also features her name, Sonia, in graffiti above her bed and in the corner was her guitar hero, Jimi Hendrix.